No one is forced to have wind turbines on their land, and communities shouldn’t be forced to have them, either. 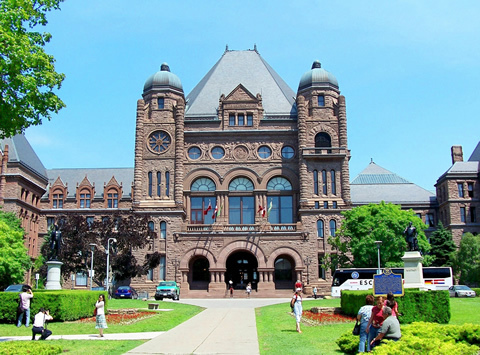 OTTAWA WIND CONCERNS NOTE: The City of Ottawa is among the 59 municipalities to date which have passed resolutions demanding that municipal support be a mandatory requirement for wind power contracts. A recent news report stated that South Dundas council was rethinking its position of not supporting a proposed wind power generation project, partly because of the tax revenues that would come to the municipality. Council need to reads this. The following is a letter sent by Wind Concerns Ontario president Jane Wilson to OFA president Don McCabe, in response to remarks made by Mr. McCabe at a wind farm information meeting in Finch, Ontario. Several of Mr. McCabe’s comments to the audience, such as that there is no surplus of power in Ontario, were not correct, WCO said in the letter. As well, while Mr. McCabe’s advice to landowners to “get a lawyer” is sound, Wilson said, the attitude that landowners need to concentrate only on getting everything they want in a lease is isolationist and archaic, and is helping to divide Ontario’s rural and small-town communities. “Not one word was said about responsibility to community, and neighbours. This [attitude] does not represent the view of the contemporary and socially responsible farm operators that we work with; they are professionals who believe they are part of their communities and who are aware of—or at least consider—the effects of their actions on others,” Wilson said. The letter was sent to Mr. McCabe, and the Board of Directors for the Ontario Federation of Agriculture. It was interesting to meet you last week in Finch, Ontario at the Lions’ Club event, where we both spoke, along with Mr. Levy of CanWEA. I was relieved to hear your strong advice to those attending and contemplating signing a lease with a wind power developer, to “get a lawyer, get a lawyer, get a lawyer.” This is excellent advice: as you know, these contracts typically contain dozens of pages of various clauses outlining requirements and limitations…many people do not understand what they are being asked to sign. I was disappointed, however, in other aspects of your presentation. First, there were a couple of statements made that are not correct and may even be misleading. Power surplus in Ontario: in my presentation I had suggested that more wind power projects were not necessary, especially not for a form of power generation that is intermittent, produced out-of-phase with demand and is expensive, causing Ontario electricity rates to rise. You countered by saying that Ontario has no surplus of power. This is not correct: the Ontario Energy Minister himself admits that Ontario has surplus power and also says that the province will have a surplus for years to come. See his quotes and the forecast for power rates in a Globe and Mail article here. “Net metering”: you told the audience that they should arrange in their lease to share in the wind power produced by any turbines on their land. This is not correct—it is unlikely one could get power from the wind turbine on a farm, and moreover, it would be in violation of the contract the wind power developer has with the Ontario government to obtain the Feed In Tariff to do that. Turbine noise: you suggested to the audience that if the noise from turbines were to bother them, they could make sure that there is a clause in the lease so that the power developer would have to address that. This is extremely unlikely; at present, there are thousands of noise complaints in Ontario that go unresolved by either the developer or the Ministry of the Environment. Community input to power projects: In response to several questions from the floor, you did advise people to go to the government website on the new Large Renewable Power Request for Proposal process, but you also suggested to at least one audience member that there is nothing communities can do, if a power proposal comes forward. That is not correct: people can work with their municipal governments, members of their community, and also choose not to sign the agreement required of adjacent property owners. That brings me to the second area of disappointment in your presentation: the overarching theme of your remarks was that if people are going to sign a lease for a wind turbine project they should make certain that they get concessions from the power developer that benefit them. There was not a single mention in your remarks of the need for responsible consideration of other members of one’s community, including fellow farm operators, and neighbours. This was a very narrow view that demonstrates no balance and instead indicates an archaic, “I can do whatever I want on my land” view. This does not represent the view of the contemporary and socially responsible farm operators that we work with; they are professionals who believe they are part of their communities and who are aware of—or at least consider—the effects of their actions on others. Our concern with this isolationist view of farm ownership is that it will further divide Ontario’s rural and small-town communities. 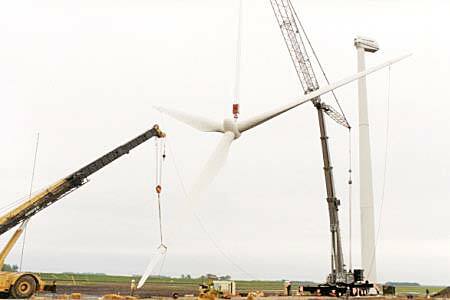 OFA needs to clarify its position on this matter, and further, consider advising your membership that when it comes to deciding whether to participate in a wind power project, the responsible course of action is to balance their financial opportunities with the economic, health and social needs of others around them. We would be pleased to meet with the OFA Board to discuss our concerns. “Why us?” was one of the questions raised, as more than 125 people gathered in the North Stormont Community Arena Hall in Finch on a fine spring evening in the middle of busy planting time, to hear a panel discuss various aspects of wind power in Ontario. Speakers for the Lions’ Club event were: Tom Levy, Director of Technical and Utility Affairs, for the Canadian Wind Energy Association/CanWEA, the industry lobby group; Jane Wilson, president, Wind Concerns Ontario; and Don McCabe, president of the Ontario Federation of Agriculture. Tom Levy went over the numbers for wind power in Canada and showed wind power development is growing as a source of power; Ontario currently has over 4,000 megawatts of installed wind power. Wind is cheaper than other forms of power generation, he said, fast to build, emissions-free, and–because power contracts are for 20 years–provides price stability whereas prices for other forms of “fuel” such as natural gas, can fluctuate, he said. Wilson called for balance in the approach to wind power development in Ontario communities: “If a community wants a wind power project, that’s fine,” she said, “but you have to be assured that no one single person is going to be harmed by it.” Wilson said the recent Health Canada study showed health impacts (“annoyance” is a medical term meaning distress, she said) and called the Ontario setbacks of 550 metres into question. Quoting a document from CanWEA, Wilson said, “You have a right to ask questions, you have a right to have concerns, and –based on what you learn–you have the right to oppose.” Wilson also mentioned the charge of lease possibility in wind power contracts which meant developers can obtain financing based on the leases on farm properties for turbines. OFA president Don McCabe pounded the lectern with his fist on the contract issue, saying, Get a lawyer, get a lawyer, get a lawyer. 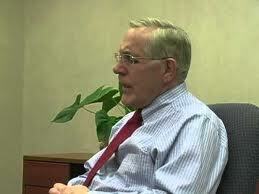 It is up to each property owner to obtain proper legal advice before signing contracts, he said. His view was that farm owners contemplating leases need to get an agreement that will get the most benefit for them. Mr McCabe made no mention of farm communities, or the effect of farmers’ decisions to lease on their neighbours. 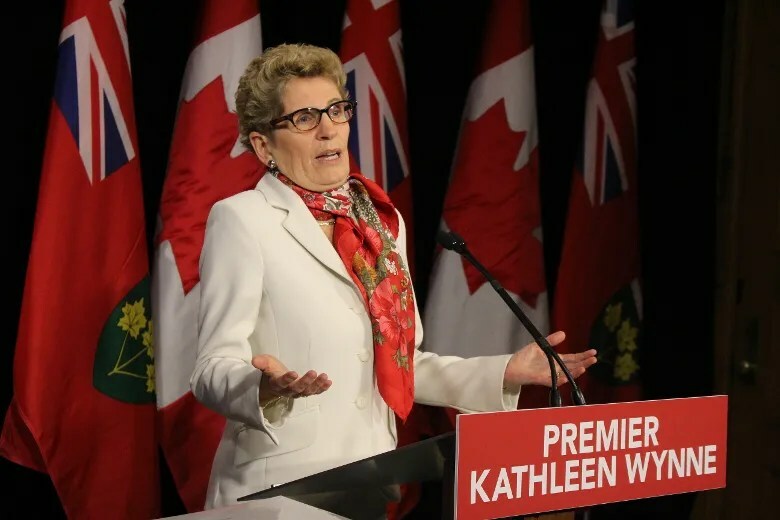 The issue of Ontario’s power supply and electricity bills came up through the evening as Wilson asserted Ontario does not need more power, and has already sold off surplus power cheap in the first quarter of 2015, for a $450-million loss for ratepayers. The power developer proposing a project for Stormont Dundas and Glengarry, EDP Renewables, will be holding an open house tonight in Crysler at the Community Centre, between 4 and 8 PM.